One of the roles of the Holy Spirit is to bring us His own prayer burden. But in order to receive that Holy Spirit burden—so that we can pray for the world with the burden of the Spirit—our heart must be prepared. 1. Regularly go to quiet places to pray. God knows the hearts and feelings of all people more than anyone does. He has more compassion for people than they have for themselves. Therefore, in order to know the hearts of others and to take on the compassion of Christ for them, it is imperative that we go to places where we can hear God’s voice and feel His heart. Quiet place of solitude will help us to keep focused on God and His love. It also helps us remember our friends—to love them and bear them up in prayer. 2. Regularly renew Your Heart. Each day meditate on the Word and confess your sins. Then wait on the Holy Spirit to fill you and lead you. Ask Him daily to be your guide and to teach you burden bearing. 3. Obey God’s voice moment by moment. Obedience I would say is the key to preparation for burden bearing, for when we love Him by our obedience, He in turn loves us and discloses Himself to us (Jn. 14:21). In effect, He opens our eyes so that we see Him as He is. And in seeing Him He helps us to love others—He fills us with compassion for them. 4. Be disciplined in prayer with fasting. God will not give a prayer burden to you unless you make yourself available to pray and fast—unless you are willing to get up early to pray and stay up late to meditate. This type of prayer is definitely a higher level of prayer. It is a special gift of God for those who are unceasingly living and praying in the Spirit for others. 5. Expose yourself to needs. E.M. Bounds wrote, “He who has no eyes to see the exceeding sinfulness of sin, the wants and woes of humanity, will never have compassion for humanity.” Bounds also said, “That which excites and develops compassion and puts it to work, is the sight of multitudes in want and distress, and helpless to relieve themselves.” Thus, when Jesus saw the multitudes that were scattered, as sheep without a shepherd, He was moved with compassion for them. I suggest that in order to be prepared for bearing the burdens of others, and to receive prayer burdens from the Lord, we must exercise our compassionate eyes by exposing ourselves to the needs of as many people as we can. This implies that we must go where people are and find out their needs. If you have the means to travel…go! If God is calling you…go visit the sick and those in prison. And if you can read…read periodicals about people and their needs. And pray. Pray for as many people as you can, lifting up all their needs to God. The more you see the needs of people and obediently pray for them, the more God will give you His compassion for them; He will share with you His burden for them. 6. Serve one another. Seeing needs is only the first step to developing true compassion. Our compassion must also be watered by our service. So let us not just read about them, but let us go visit them and serve them. Then the more we serve those whom we see as needy, the more we will feel their pain and be compelled to serve them more, and pray for them more. The above is an except from my book Principles of Prayer. 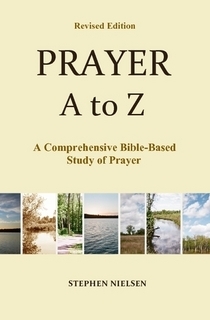 This entry was posted in Burden in Prayer, Prayer A to Z Excerpts and tagged E. M. Bounds, intercession, prayer, Wesley Duewel. Bookmark the permalink.